Now, I’m not one of those geeks who is so far gone that I view fictional worlds as real. Nor do I need to see some deep philosophical meaning in what is, after all, intended primarily as entertainment. That being said, there are some shows that I watch for entertainment *and* because they are intellectually stimulating. Pretty much anything Joss Whedon is in that category, with my favorites being Firefly and Dollhouse. Since I’m contemplating a fun cosplay crossover for a party next month (Steampunk Zoe – how fun will that be?!) 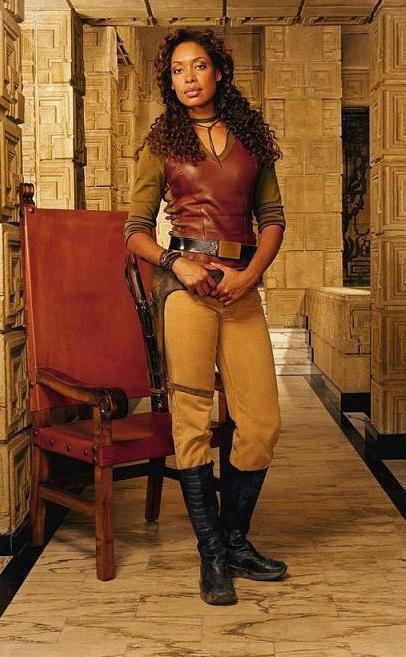 I thought I’d write down a quick list of why Zoe is the character from Firefly that I most identify with. 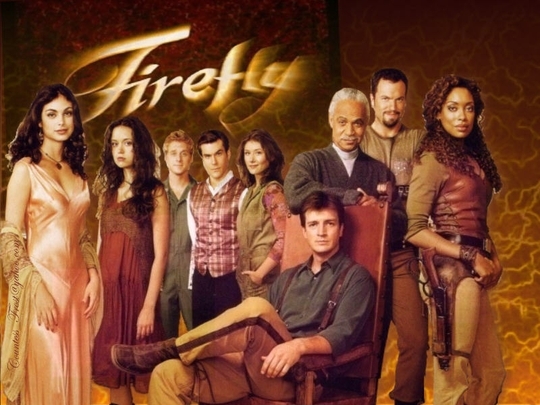 For your viewing pleasure, here’s a picture of the Firefly crew. There’s Inara – the Companion, the classically beautiful one. River, the crazy scary-smart one. Kaylee, the bubbly smart so cheerful you just want to duct tape her mouth and dump her in the hold one. And then Zoe – the happily married, has-the-coolest-outfits, super-strong one. See why I like her?